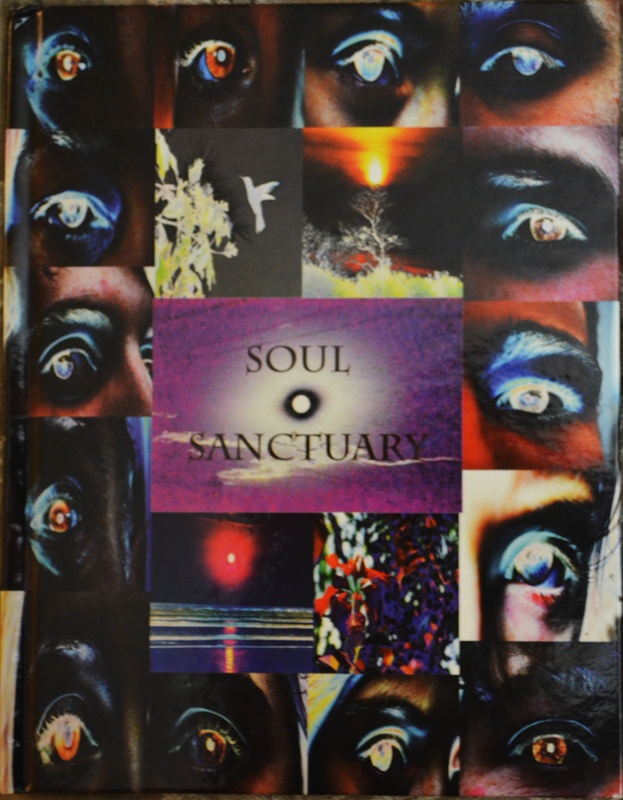 Self-Publisher’s Showcase: Today we are joined by John Angiulo, author of Meeting a Dream, and Soul Sanctuary. Welcome to the Showcase Lounge, John. John Angiulo: Hey, thanks for having me. JA: I am twenty six and I live in Montauk, NY. 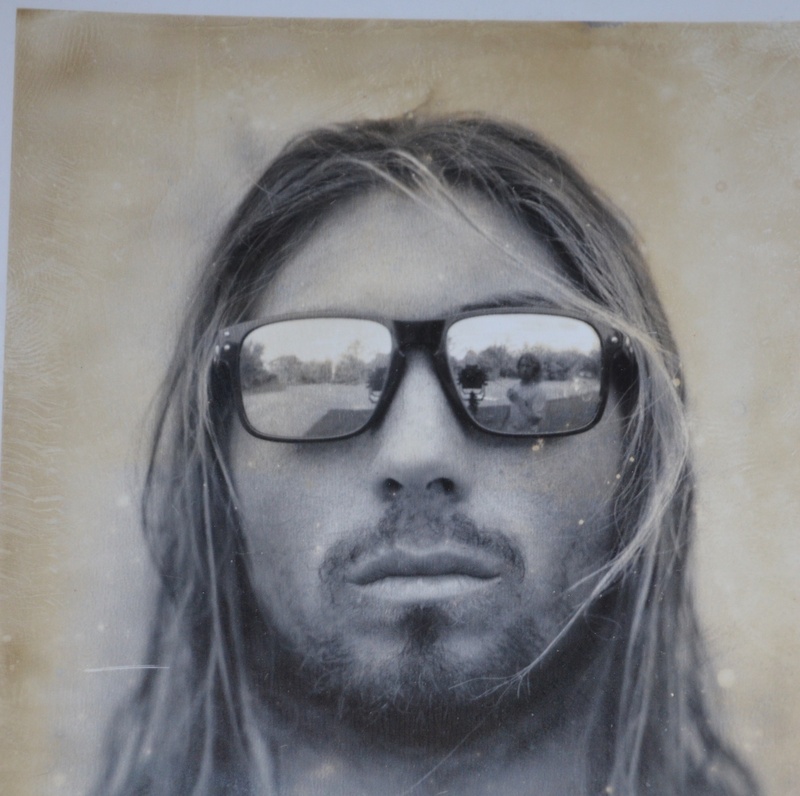 On top of writing, designing and selling books I am also a professional surf instructor and, on a personal note, I have a daughter. Surfing and being a father are both aspects of my life that impact my writing, both in terms of content, style and subject matter. JA: I really enjoy writing outside and by hand. I like taking a walk through the woods and having a seat somewhere and writing in my notebook. However, my computer is obviously essential for producing an actual book, so for me if I spend time outside and then can spend time alone in front of the computer I will be in a good head space. I try to write for the joy and catharsis of it every day but I work on projects probably about3-4 days a week. This way I don’t burn myself out and it allows me to spend time on the other aspects of my life. However, when it comes time to design a book I can be pretty obsessive and work on it a lot, because there is so much technical detail involved. JA: Pretty much from when I started college and chose literature as a major, I knew. I didn’t want to become a teacher like everyone else in my classes and be controlled by a curriculum. I wanted to write things that could impact people’s perspective in a positive way, just like how my favorite books shaped my view on the world. JA: My main style of writing is in rhyming prose, in a genre that I called Children’s Books for Adults. I write like this as a matter of both instinct and choice. Instinct because poetry is something that comes from me organically. Choice because I want to create work that is compact, gripping and meaningful to the point of revelatory or transformative. When writing a story, the rhyming lends itself to fiction of a more imaginative and whimsical temperament, while my own personal perspective on the world creates an ideological undercurrent. What this results in are stories that engage both children and adults, allowing any age to simultaneously leave behind an aspect of reality, in order to better understand some aspect of reality. I do write in other genres, but this is most natural and fun for me. SPS: Before we talk about your two releases, can you tell us about The Active Imagination Publishing Company and how it came into existence? JA: It came into existence this past year, when I realized that I do the majority of the work myself, and that the skills I’ve learned can help others people to realize their dreams of publishing a book. Aside from a few illustrators that I am working with, and an additional editor, I do every aspect of book production from writing, to editing, to page and cover design etc., The name Active Imagination was chosen as a way to express to people the kind of work that I like to produce so they know what to expect and where to get that kind of writing when they want it. SPS: So, Meeting a Dream. What’s it all about? JA: Meeting a Dream is a story about two people who run into each other on a street corner. The man recognizes the women from a dream that he says that they made together. The women does not remember and the story is the man’s retelling of the dream world they created together and how it is what brought them to that exact moment in time. It is a story of creation and transformation with hints of spirituality and physics, all of which comes together to create a tale that speaks to the interconnectedness of all people. SPS: How did you set about writing a book aimed at younger readers? JA: I think it started once I had my daughter and I started watching kids movies and readings kids books. I realized that they were some of my favorite movies and books of all time, because they bridged the gap between childhood and adulthood so well. Books like The Giving Tree and The Missing Piece by Shel Silverstein or movies like Bambi or Shrek. I loved that those works could touch people of any age with equal power and I wanted to do the same. SPS: What would you like a young reader to take away from reading your work? JA: Well, every story that I have has a different theme driving it so I want them to take each individual work as it comes and experience those lessons for themselves. In general, however, I want younger and older readers to take away ideas of unity between all people and things and that expressing one’s self in a manner of their choosing is every person’s right, their purpose and their gift, which will allow them to live a life of joy while simultaneously serving and enriching the lives of others. SPS: Do you have a small section of the story you can share with our readers to give them an idea of what they could expect? 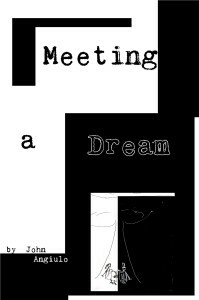 JA: If you go to www.activeimaginationpub.com and then go to the Books section and click on Meeting a Dream, anyone who is interested can see and read the beginning of the book. SPS: The illustrations contained within the story; are these your own work, or did you work with anyone in particular? JA: Those are mine. I don’t generally illustrate my own work but this particular work is special. I became so inspired that I wrote and drew that whole book in two days, writing a rhyme and then drawing the picture right after. I think the drawings just suited the story and it gives it an authentic feel that I think really adds to the story itself. 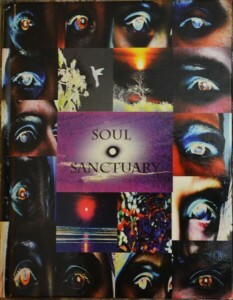 SPS: Moving on to your collection of Poetry; can you tell us about Soul Sanctuary? JA: That book was really an experiment and a huge lesson in how to design books. I had just bought the Adobe Creative Suite, which is what I use to design, and I had a collection of poetry and a new camera. I basically would use a poem as the basis for an art piece, and then apply the things I was learning daily with the programs to my images in order to get the feel I wanted. It was a learning process and pretty big accomplishment for me at the time. SPS: Is there a general theme, or is it more an eclectic mix? JA: It is very diverse and can easily be seen as an eclectic mix. However, I see it as an expression of Unity through Diversity, meaning that all these very different looking spreads do have a common undercurrent, if you can see it. SPS: What gave you the idea to produce 18 separate spreads, where each 2 pages tell a story? JA: I just wanted to produce something that would keep people interested visually. So many poetry books are words on a page, black and white, and that’s all you get. Others have some imagery, but all in a certain style. I wanted people to be kept on their toes and be able to have a different and new experience every time they turn the page. SPS: Do you see it as an equal balance between words and images, or do the words take center stage? JA: When you just look at it, it may seem equal in terms of how much space on a page the words and images get. However, I built every piece of imagery, and took most of the photos, with those poems in minds. The words are the seeds from which everything else grew, so for me they absolutely take center stage, because I know that they are the core of each piece. SPS: What kind of responses have you received from people who have read your work? JA: The poetry book got a great over-all response, though there are many people who don’t vibe with poetry and don’t understand or like a work as abstract as this book is, but I expected that. There were definitely those people who, I could see on their faces when they looked through it, just didn’t get why I would make something like this. On the other hand, and I’m lucky because I live in community of a lot of artists, there were a lot of people who really appreciated the work and made it clear that it meant something to them. Meeting a Dream is an entirely different matter. I have read this book to people ranging from ages 4 to 60 and the response has been overwhelmingly positive. It reflects how inspired I was when I wrote it. I was in love with the idea in my head, I was in love with the words and images that came out of my hand, I’m in love with the book now that it’s finished and I think all that passion can be felt by the people who read it. I’m just about to begin marketing it more powerfully and I’m excited because I feel it’s something a lot of people will cherish once I get it in front of them. SPS: What’s next on the self-publishing horizon for John Angiulo? JA: I am working with two illustrators on two different books right now. The first one should be done within the next two months and the second one will be out shortly after that. I have no shortage of work to produce, so I will keep on doing that. The next big step for me is just spreading my range of marketing from local to more wide spread. JA: It was pretty much what I had imagined doing. I had heard, as we all do, about the trials and tribulations of the traditional publishing route and the toll it takes on people’s confidence, their time and their wallets. JA: The experience has been amazing. It actually exceeded my expectations because I profited on Soul Sanctuary. For my first book, one of poetry and art, to yield a profit where it made my investment of time and money worthwhile, was a pretty incredible feeling. That’s pretty unlikely for a first book so you can say it was very encouraging. JA: I would say that from an artistic point of view, you need to enjoy what you’re writing. If you feel joy and excitement about what you’re writing, I believe that will translate. From a business perspective, create a formula that makes it possible for you to profit on your work and figure out how to market efficiently. If you create work that you and others can love, you have the ability to market it and you have the formula to make profit, that will help you out a lot. JA: I’d like to thank all the people in Montauk, and all over, who have supported me and helped me to make this dream of mine come true. Also I need to thank, my girlfriend Erin, for all of her encouragement and help and my daughter, Lana, for her inspiration. And if you want to check out an amazing little book get “I’ll be you and You be me” with words by Ruth Krauss and pictures by Maurice Sendak. Simply put, it feels just like childhood. SPS: Thank you for joining us today John, and all the best for the future. JA: Thank you for the opportunity. I appreciate it. SPS: For more information on John and his work, please do visit his Showcase Author page here.